Executives and decision makers may think they have the power, similar to Pavlov, to elicit a reaction from their customers. 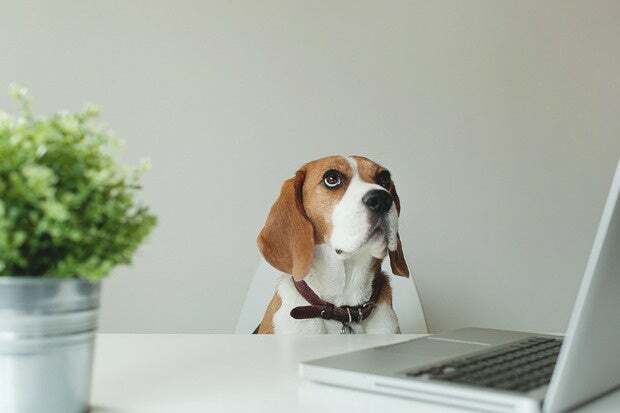 However, an executive's approach to technology is more similar to the dog's reaction than to Pavlov's position of control. Has my insurance claim been approved? These are questions industry analysts at Forrester use to illustrate what they call the “mobile mind shift,” which they define as an expectation that “I can get what I want, in my immediate context and moments of need” on my smartphone. The reflexive way people reach for their smartphones nearly anywhere, anytime, may even call to mind Pavlov’s dogs. Ivan Pavlov won a Nobel Prize for describing how animals (or humans) can be trained to respond in a certain way to a particular stimulus. In the dogs’ case, he observed dogs in the lab drooling when they saw someone in a white coat — because, as he figured out, they were always fed by someone wearing one. He famously went on to train the dogs to salivate when he rang a bell. As executives, strategists or implementers within an enterprise, we may be tempted to imagine that we are in the role of scientists like him, conditioning consumers to instinctively turn to our products and services during their mobile moments. But it is more likely we are the ones who need new to learn new reflexes and build new muscle memories for how we handle investing in technology. In short, when it comes to digital transformation, we’re not Pavlov. We’re the dogs. Our instinct to “plan, discuss and control” needs to be replaced with “doing, testing and discovering.” This may feel uncomfortable because our organizations have trained us to associate safety with decision funnels, net present value (NPV) spreadsheets and final-approved plans in PowerPoint (complete with voluminous appendices of supporting data). We must winnow down our options into a static plan for releasing large amounts of code, months apart, by internally debating the meaning of extrinsically collected data. But mobile, cloud and machine learning have changed the balance of risk and reward. We can release small amounts of code, weeks apart, with ways to test our hypotheses for “what’s right” and “what’s next” defined in advance — and often built-in. If a desired behavior is fast delivery of a minimum viable product (MVP) to catalyze mobile interactions, the organization must switch from reflexively treating “deviating from the plan” as failure to celebrating “fast failing or scaling” as success. If the desired behavior is “learning by doing,” then the organization must embrace the fact that harvesting data showing that “we were wrong and need to course correct” isn’t a proof of having made more mistakes: it’s a sign of missing fewer. If the desired behavior is minimizing risk, then the organization must embrace small changes that can be immediately rolled back as a stronger hand to play than approvals heaped upon gates piled upon process for large changes that can’t. These are a matter of both perspective and practice. To assess this idea, we ran a survey of IT decision makers across 800 large companies “the ability to meet or beat expectations” with regards to app development cost, time to deliver, quality, quantity, and business impact of apps as a benchmark. More than a third (36 percent) failed to exceed expectations on any of the five measures; 8 percent exceeded expectations on all five. In keeping with these attitudes, they were making greater use of cloud-based resources such as platform-as-a-service (PaaS) and infrastructure-as-a-service (IaaS) than weaker performers. And companies reporting the strongest capabilities using APIs and analytics were more than three times as likely to be app masters. To join them, the stimulus-response defaults for how your organization conceives, approves, funds and executes on digital projects and programs needs to change. As executives, strategists and implementers that ought to be an opportunity we’re all salivating over.